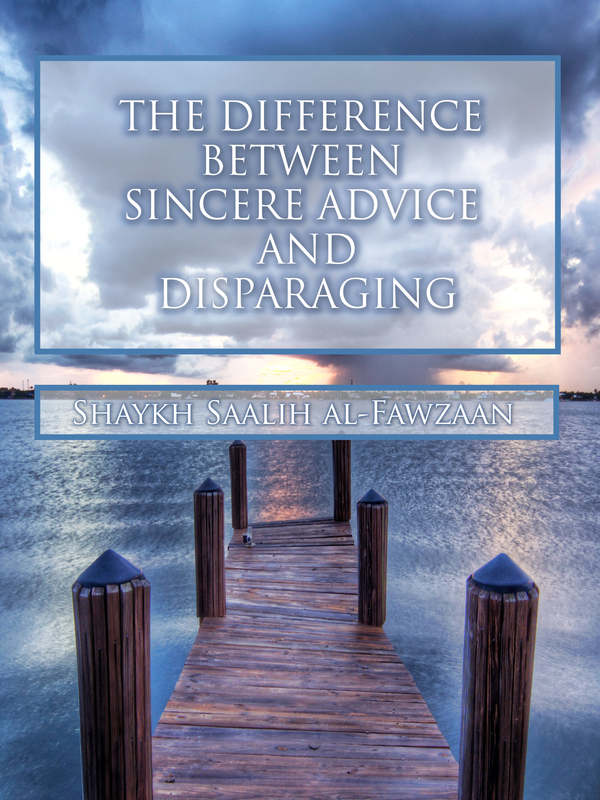 This ebook is a translation of Shaykh Saalih bin Fawzaan al-Fawzaan’s lecture entitled “al-Farq bayna an-Naseehah wal Tajreeh” given at the masjid of King Fahd bin ‘Abdil-’Azeez in the city of Najran on Thursday 20th of Safar 1428AH. We ask Allah, the Most High, to accept this deed only for His Face, and allow us to benefit from this reminder in this life and the next. Aameen.